UC encourages poems that address the NAIDOC 2018 theme Because of her, we can!, ‘celebrating the invaluable contributions that Aboriginal and Torres Strait Islander women have made – and continue to make – to our communities, our families, our rich history and to our nation.’ (2018 NAIDOC week). UC also encourage poems on any topic. The competition is open only to Aboriginal and Torres Strait Islander people. The Prize will be judged by Lionel Fogarty and Yvette Henry Holt. 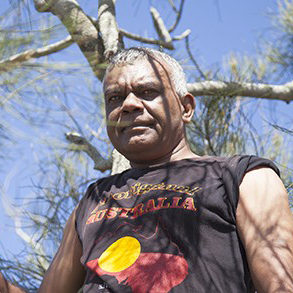 Lionel Fogarty is one of the best known contemporary Aboriginal Australian writers. A Yugambeh man, Fogarty was born on Wakka Wakka land in South Western Queensland near Murgon on a ‘punishment reserve’ outside Cherbourg. Throughout the 1970s he worked as an activist for Aboriginal Land Rights and protesting Aboriginal deaths in custody. He has published numerous collections of poetry in Australia through small presses and major publishing houses. His most recent collections include Mogwie Idan: Stories of the land (Vagabond Press, 2012), Eelahroo (Long Ago) Nyah (Looking) Möbö-Möbö (Future) (Vagabond Press, 2014), and Selected Works 1980-2016(re.press, 2017). Yvette Henry Holt heralds from the Yiman, Wakaman and Bidjara Nations’ of Queensland In 2005 Yvette was awarded the Queensland Premier’s Literary David Unaipon Award for an untitled manuscript, her first publication titled anonymous premonition (UQP). 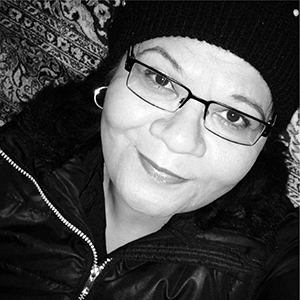 Yvette now lives and works in the Australian Central Deserts, promoting financial literacy and community education across 500,000,000 square kilometres, while completing her manuscript on poetry and prose ~ uncovering what lays beneath the desert skin.